Enerpac has recently launched an exciting new pulling solution to the South African market. 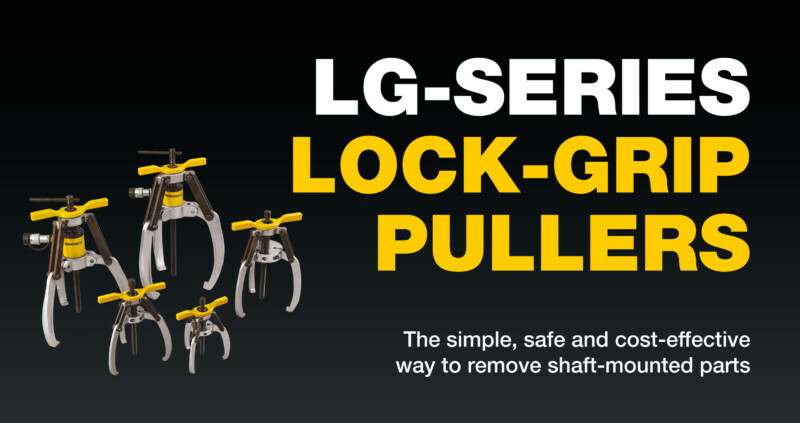 The New Enerpac LG-Series, Lock-Grip Puller has been said to be the simplest, safest and most cost-effective way to remove shaft-mounted parts. 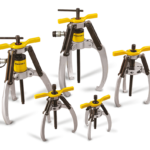 This new line of manual and hydraulic Lock-Grip pullers are an ideal solution for pulling small to large-size wheels, sprockets, bearings and other similar shaft-mounted parts. The puller’s self-centering closing system allows all jaws to move simultaneously, making it easy for a single operator to mount the puller and to perform the application. Greater spreading width on top portion of jaws enables use on thicker objects. Synchronous jaw movement increases ease of use, allowing one operator to mount the tool and perform the pulling application. Point protector helps prevent damage to spindle when pulling against a flat surface. the application. Turning the puller handle locks the jaws onto the application, allowing the desired object to be pulled free when the spindle is turned. 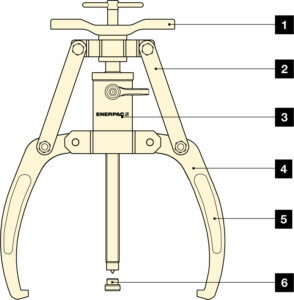 Available in 2 and 3-jaw configurations with or without a detachable hollow cylinder. 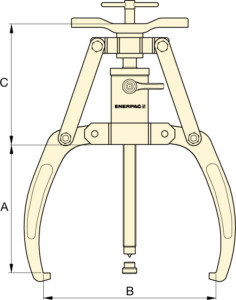 Convenient adjustment handle simplifies positioning of jaws on application and increases speed of operation. Locking mechanism helps prevent jaws from slipping off application during pulling process. 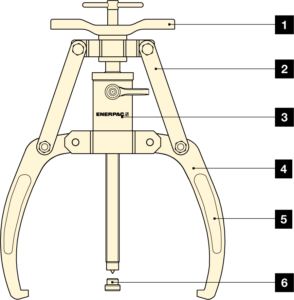 Detachable hollow cylinder offers increased pulling capacity compared the mechanical alternatives. Greater spreading width on jaws enables use on thicker objects. diameter. Turning the puller handle locks the jaws onto the application, allowing the desired object to be pulled free when the spindle is turned. 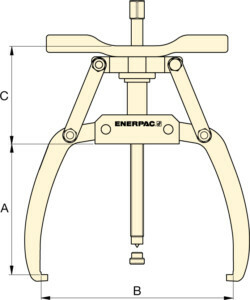 For more information on the new Enerpac LG-Series, Lock-Grip Mechanical or Hydraulic Pullers or Hydraulic Lock-Grip Master Puller Sets please contact us on 016 100 4150 or send us an e-mail to sales@kiloton.co.za. © Copyright Kiloton | All Rights Reserved.